focus&execute provides leadership consulting, coaching and strategic plan implementation services to executives and management teams. We aid organizations in achieving their critical objectives through our innovative system — closing the execution gap. The Focus & Execute Web-based tool is unique. 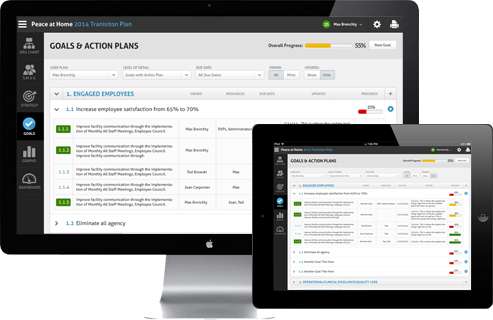 It is the only online and on-demand software tool capable of helping lead strategic plan creation and manage execution. Focus & Execute was created by leadership experts - not software engineers or accountants. This leadership process and tool was built upon proven principles and 25 years of implementation experience. It is designed around the way people think, lead and behave. Let us show you how we have focused companies into executing success. focus&execute llc 2014. All rights reserved.